On a two-lane highway in Afghanistan, a 1970s-era Volkswagen van cruises down the road. Several ancient, clunky wheelchairs are strapped to the roof. Inside are five disabled villagers from the rural town of Maimana, a driver, and Jess Markt '00. 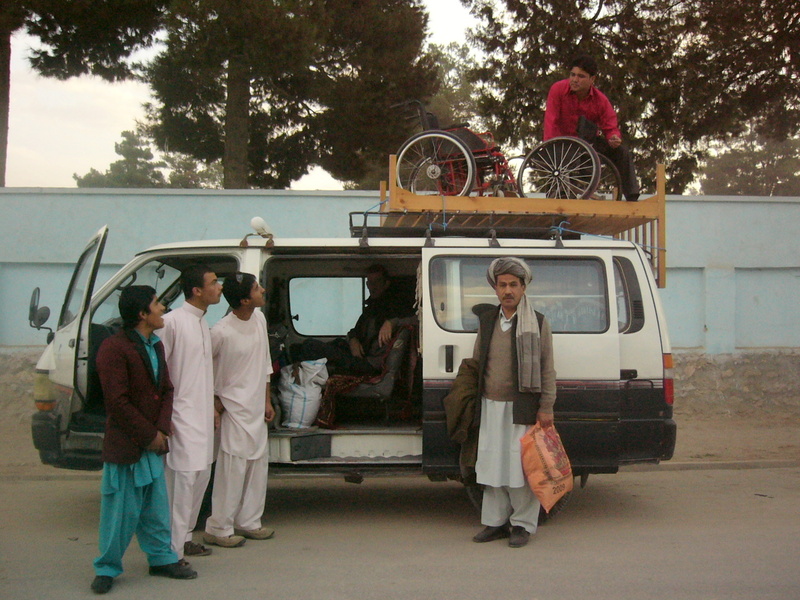 This unlikely group, on its way to Mazar-e Sharif, was likely taking the first-ever road trip for a wheelchair basketball team in Afghanistan. That wheelchair basketball even exists in that country is a testament to Markt's perseverance. The chain of events that led to this day started 13 years earlier, in the summer of 1996, when Markt was a redshirt freshman on the University of Oregon track team. On the way to a training session, the former high school track star and basketball player was in a car crash and broke his spine, becoming paralyzed from the lower chest down. He dealt with his recovery the same way he had embraced his sport. "I decided to take this as a challenge," Markt says, "something I was going to get better at and overcome." He returned to the UO to finish his degree, earning a BA in English with a minor in Japanese. He moved to the Portland area after graduating and hooked up with the Wheelblazers, the National Wheelchair Basketball Association (NWBA) franchise sponsored by the NBA's Trail Blazers. At six feet six inches tall, with long arms and an athlete's grace, Markt quickly picked up the game, but it still took almost two years to reach the skill level equivalent to what he'd achieved playing standup ball. A job as communications director for Seattle-based Qualis Health beckoned next, but Markt eventually sought a change from the Pacific Northwest scene in which he'd lived his entire life. His job offered him the opportunity to transfer to a number of different cities, and he settled on one of the most un-Northwest places he could find—New York City, where he immediately began playing for the Knicks' affiliate NWBA team. In the summer of 2009, his coach forwarded him an e-mail from Brooklyn-based documentary filmmaker Heather Metcalfe, who had traveled to Afghanistan to make a film on women's issues. While there, she had visited an orthopedic clinic in Maimana. The Western doctor who ran the clinic told her he thought wheelchair basketball would be a good outlet for the many young men who used its services—some suffering from polio or other diseases, and others injured by land mines. The thing was, the doctor said, they needed a coach. Metcalfe was looking for a volunteer. With his contract with Qualis coming to an end, Markt jumped on the opportunity. After a quick fundraiser to cover travel costs, he was off to Afghanistan, spending six days teaching players who spoke little or no English how to play an American game. His players lost the game to the team in Mazar-e Sharif, and Markt was soon on his way back stateside. But once home, with the opportunity to reflect on the sizable difference he'd made in these young men's lives in so little time, he realized that what he had thought would be a one-time trip had stirred a passion. He contacted Motivation UK, an international charity that builds wheelchairs for use in developing countries. The organization agreed to sell him basketball wheelchairs—which normally cost about $3,000 apiece—for $250. Then he contacted the Red Cross to see if the agency could help with shipping the chairs to Afghanistan. Not only did they help with shipping, they also agreed to buy and donate the chairs, 120 in all, for distribution across the country. 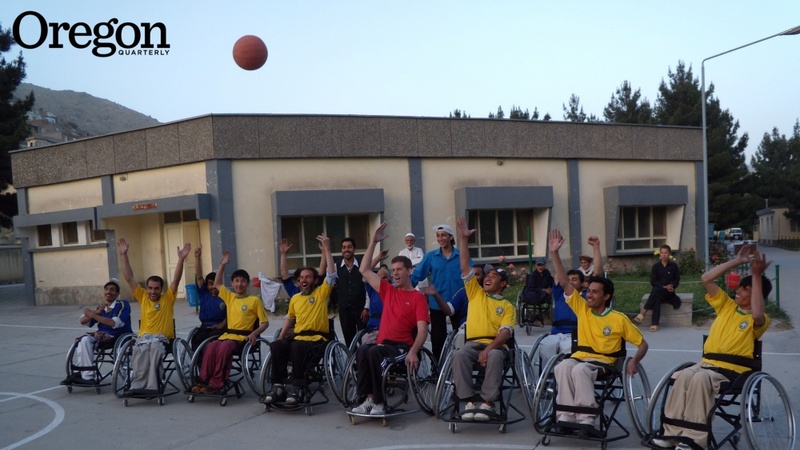 The Red Cross took over the logistics of setting up the program, now called the Afghanistan Wheelchair Basketball Project, so Markt could focus on coaching. He returned to Afghanistan in 2011 and spent time working with teams in Kabul, Maimana, and Mazar-e Sharif. Since then, the program has continued to expand and the players have gone through a metamorphosis. "This is a country where disabled people are completely marginalized," Markt says. "If you're born with a physical defect, or if you're injured, the family keeps you at home and will just take care of you; you basically just exist in a corner, unseen." But these athletes are unseen no longer. "These skinny, shy guys are now all big and muscly and competitive," Markt says. "It's been a remarkable transformation." In 2012, the Red Cross chose Afghanistan as the site for its first national sports program and hired Markt, who'd been coaching as a volunteer, to run it. A two-month training program culminated in an eight-team, three-on-three national tournament played in front of raucous crowds. Last spring, the Red Cross held a women's tournament as well. "Sport is a fantastic tool of social reintegration," says Alberto Cairo, an Italian physiotherapist who runs the Red Cross's physical rehabilitation program in Afghanistan. "The results of the program are beyond expectations. The players have been transformed both physically and mentally." Although much has been done, so much more remains. 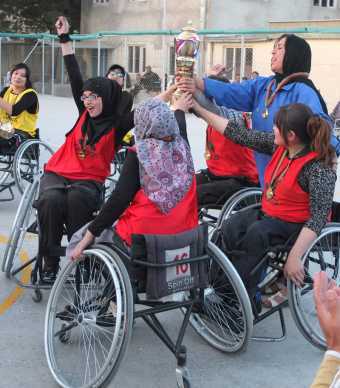 "In Afghanistan, the needs of the disabled people are so huge that whatever one does, it is never enough," Cairo says. Markt, for his part, continues to do more. In January, he traveled to Cambodia to coach a team there. Plans are in the works for teams in Sudan, Palestine, and Ethiopia. "I want to keep it growing and continue to take it to new places, and to further establish the programs we've started," Markt says. "The level of success we've had, the difference we're making in these people's lives, is mind-boggling. This has really become an amazing thing."